cellular obscura: Boylan Heights ArtWalk time again! 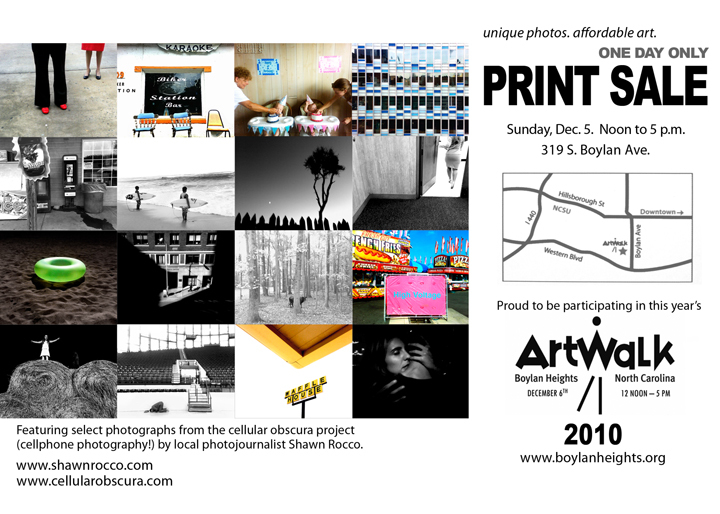 Boylan Heights ArtWalk time again! Boylan Heights ArtWalk is one of a kind. Over one hundred local and regional artists set up on porches and front yards in one of Raleigh's historical and easily walkable neighorhoods. And I'm thrilled to be part of it again this year. It's this Sunday from 12noon to 5pm, so if you live in the Triangle area or just by chance happen to be driving through please stop on by. I'll be on Ethan's porch again at 319 S. Boylan Ave. and I'll have about twenty-five different scenes for sale and at an affordable price. I'll also have some of the large (24x30) prints that were just in the last gallery show on display.